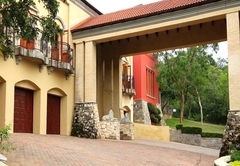 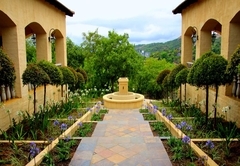 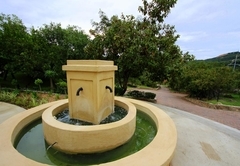 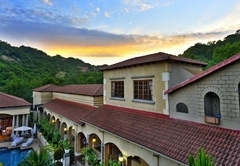 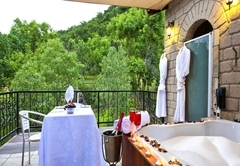 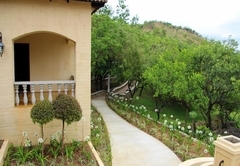 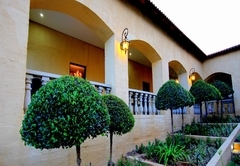 La Villa Vita is a Nelspruit hotel providing accommodation in 21 guest rooms for tourists visiting the Lowveld Legogote region. 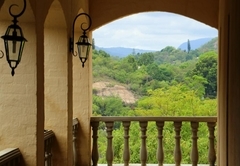 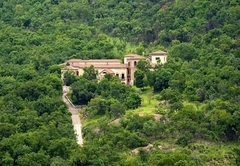 In the middle of Nelspruit surrounded by nature reserves yet only five minutes from the Central Business District is the "The Villa Life". 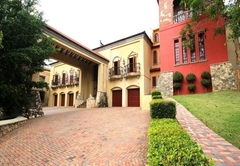 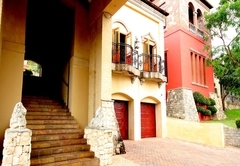 An elegant Tuscan mansion with high ceilings, stone walls and complete facilities appointed with the finest furnishings surrounded by beautiful gardens and with excellent privacy and security. 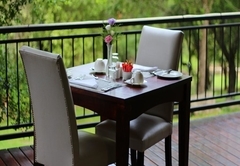 Here weekenders, business & holiday guests enjoy the peaceful and relaxing atmosphere of lodge style living in the middle of the small but vibrant city of Nelspruit. 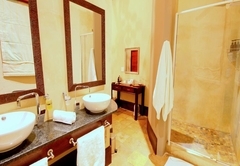 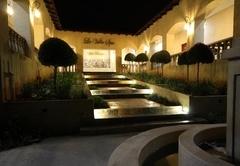 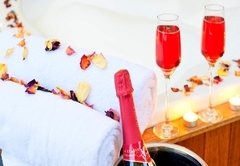 La Villa Vita offers the perfect combination - the ambiance of a guest house with the amenities of a small boutique hotel. 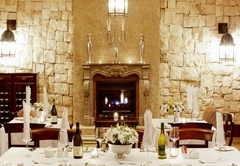 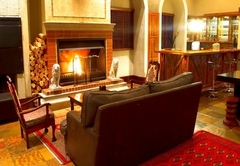 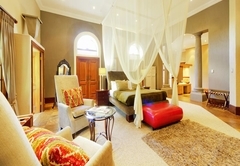 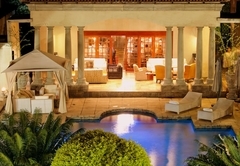 We invite you to enjoy the fire place in the Cocktail Lounge, a sun downer on the Bonfire Patio, a business meeting in the small Meeting Room, the gourmet dinners in the Grand Hall Room or a private dinner in the Piano Room - maybe even with your own private pianist. 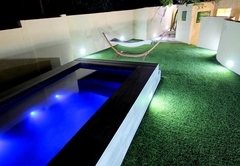 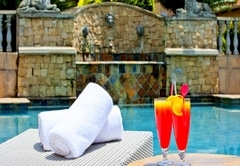 Or just relax under an umbrella at the Pool Garden. 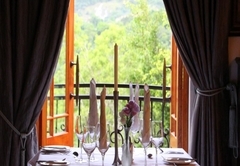 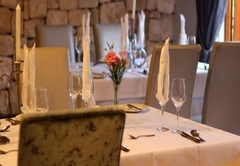 Dinner can be ordered at the restaurant or room service from an a la carte menu. 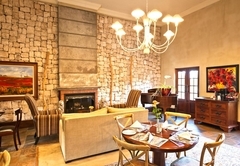 Breakfasts are usually served in the piano room. 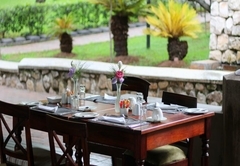 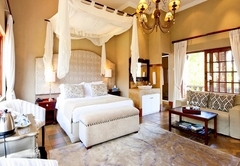 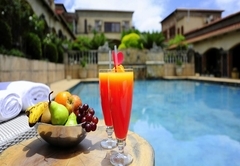 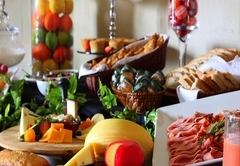 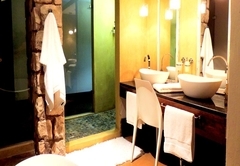 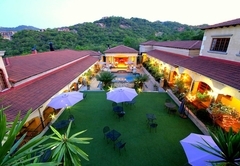 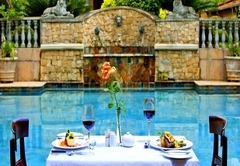 They consist of a continental breakfast and cereals (included in rate), plus a hot breakfast from an a la carte menu. 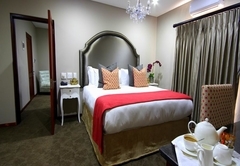 King size bed, DSTV, flat screen TV, DVD player, mini bar, coffee/tea station, air conditioner, shower or bath only, secure open parking, continental and hot breakfast. 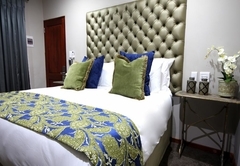 King size bed, DSTV, flat screen TV, mini bar, coffee/tea station, air conditioner, shower and bath, secure open parking, continental and hot breakfast & R100 spa voucher. 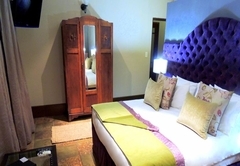 King size bed, DSTV, DVD, flat screen TV, mini bar, coffee/tea station, air conditioner, luxury stone bath, luxury shower, exclusive patio, lock-up parking & breakfast. 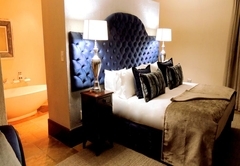 60 m2 suite, king size bed, DSTV, HD flat screen TV, mini bar, coffee/tea station, air conditioner, luxury bath, large exclusive private patio, lock-up parking, breakfast. 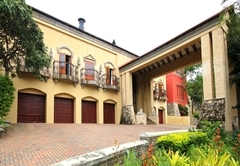 Response timeLa Villa Vita typically responds to requests in 5-10 minutes. 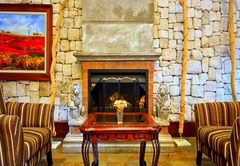 Child policyChildren over the age of 6 are welcome. 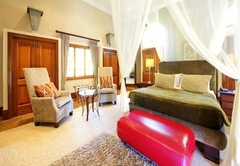 A cot can be provided on request.